Learn everything you need to know to make the Best Philly Cheese Steak Recipe at home from a Philadelphia native! What type of meat, cheese, and bread to choose and more. Bonus guide: Where to get the Best Cheese Steaks in Philly! People in Philly take Cheesesteaks really, really seriously and everyone has their fav spot. While cheesesteaks have some slight variations from place to place and personal preference, there are some things that really matter. … NEVER (I repeat, NEVER) have green peppers on them. That is something that probably started at a chain restaurant. (I’m looking at you Chili’s.) Seriously though, if you order a cheesesteak and it has bell peppers on it, eat something else. Not Legit. …are always on good bread. The bread matters. You need to find a soft hoagie roll that is light and airy on the inside and just very slightly crusty on the outside. We are not talking about baguette crusty at all. The king of cheese steak rolls in Philly is Amoroso’s. …do not have mayonnaise on them. …cook the meat and onions in oil. Usually soybean or canola oil. I upped the game and used Avocado oil. But, NEVER butter. Fry onions in oil for a few minutes until starting to brown. Add sliced or chopped meat along with a generous amount of salt and pepper. Cook until pink is gone. Separate meat into piles and add sliced cheese on top. As soon as the cheese begins to melt, placed sliced roll on top and use a large spatula to lift and flip the sandwich over. WHAT KIND OF MEAT FOR PHILLY CHEESE STEAK? Boneless Ribeye is the preferred cut of meat but it’s usually super expensive. 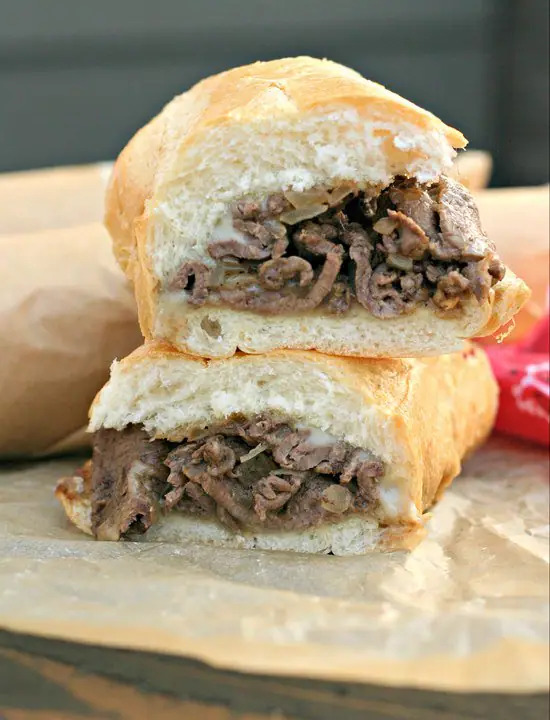 Sirloin works just as well and here is a little secret — a lot of the real cheesesteak joints actually use this or a blend of Sirloin and Ribeye. Most butchers (even at the grocery store) will properly slice the meat for you, you just need to give them a heads up when you first get in the store so that they can freeze the meat for 1/2 hour before thinly slicing. Or, better yet, call it in so it’s ready when you get there (just tell them sliced “for cheesesteaks”)! If you can’t get them to slice the meat for you, you can freeze it for 20 to 30 minutes and use a very sharp chef’s knife to thinly slice against the grain. Another option is an at-home meat slicer. If you are going to be making a ton of cheese steaks or plan to make Homemade Philly Cheese Steaks on the regular, this might be a good investment! WHAT KIND OF CHEESE IS ON A PHILLY CHEESE STEAK? Whiz. Yes, as in Cheez Whiz. This is a huge thing here and some locals can’t have a cheesesteak in Philly without whiz. It’s melty and gooey and adds another layer of salty flavor. Provolone. Usually regular provolone. When you start getting into sharp provolone, you’ve moved on to a hot roast pork or other type of sandwich. Also called “Provi”. American. American cheese doesn’t have as much flavor but it melts beautifully. Personally, I am a provolone girl all the way but I respect the Cheese Whiz choice because that is how a lot of people are used to a real cheesesteak. I can also get down with American cheese but for me, nothing compares to high-quality provolone. You need more salt and pepper than you think. Don’t waste your time using freshly ground pepper. You want regular old black pepper from a tin can. You need to fry the onions in oil. Don’t skip this. The cheesesteak is not health food. Think of this like birthday cake. If you want it to taste good, you need to cook it the way it’s supposed to be done. Onions. We always go with fried onions but it’s legit to order raw onions. Some places serve diced onions (that’s my preference) and some serve super thin sliced onions, either work! For this recipe, you want yellow onions. Hot Peppers are almost always a good option. Usually called “Hots”, they are pickled hot cherry peppers of various colors, some places will offer a hot pepper relish or some other kind of pickled hot pepper. Long hots are usually reserved for roast pork sandwiches but are also delish on a cheesesteak. Gluten Free Option: This is the first gluten post I’ve posted on here in like 4 years. I don’t have to be gluten free but we keep our house GF because of our older son and because we all feel significantly better avoiding gluten 98% of the time. With that being said, while we go with real hoagie rolls for cheesesteaks, there are some decent GF options out there. I would go with either Three Bakers Gluten Free Hoagie Rolls or Schar Gluten Free Sandwich Rolls. Low Carb Option: My Philly Cheese Steak Stuffed Peppers take all of the goodness of the classic Philly Cheese Steak and ditch the bread. Griddle or Cast Iron? The best way to cook a cheesesteak is on a flattop griddle. I realize that most people don’t have that at home so another fantastic option is a large stainless steel frying pan or cast iron pan. Don’t use a non-stick pan or get crazy and bake the ingredients. Bottom line is that you need to brown the meat and onions to get good flavor! Pick your cheese (Provolone, American, Whiz). Decide if you want your cheese steak Wit’ or Wit’out fried onions. Learn everything you need to know to make the Best Philly Cheese Steak Recipe at home from a Philadelphia native! What type of meat, cheese, and bread to choose and more. Cut thinly sliced meat into 2" pieces using a kitchen scissors. Gather rolls and slice 3/4 of the way through from the curved side. Gather cheese slices, salt, pepper and avocado oil. Place 2 to 3 slices of provolone on each hoagie roll (about 2 ounces total of cheese) and set aside. NOTE: If you want the cheese super melty, place cheese slices directly on the mounds of cooked meat and onion before placing roll on top. Heat flat-top griddle or frying pan over medium heat. Once hot, add 2 T avocado oil and diced onions (You may need to cook the onions / meat in 2 batches depending on the size of your griddle / frying pan.) Cook onions for 2 to 3 minutes until they are just beginning to brown. Add sliced meat. Cook 4 to 5 minutes, using a spatula to continually move around and break up into smaller pieces. Cook until all of the pink is gone. Sprinkle meat and onion mixture generously with salt and pepper. Separate meat into piles for each cheesesteak. Flip a hoagie roll with cheese on top of each pile. Allow to cook for 1 to 2 minutes, until cheese is melted and roll has begun to soften. I have been interested in the Philly Cheese-steak for a while… Never been to Philly. Had a few questionable versions here in Canada. I am using your basic idea for an experiment at home today… Using Swiss not Provolone, and red peppers not green, but pretty much the same otherwise 🙂 Cheers! Hi John! I hope you love it! 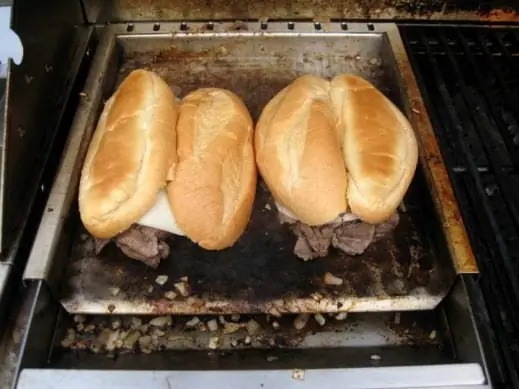 The philly cheese steaks looks amazing. Though I haven’t had it yet, it looks like I don’t want to miss it . Anything Philly cheesesteak and you can count me in! We loved these! These are just like the original! My family loves them! I love Philly cheesesteaks! These were spot on and so easy!!! Yay!! I love hearing this!!! These were soooo dang good! I haven’t had a decent Philly cheesesteak since I was last in Philly, which was, sadly, a very long time ago. I can’t wait to try this! Yay! Hope you love it Liren! I grew up in Philly too! East Oak Lane! Unlike you, I do not respect the Whiz, but I love how you broke it down, in terms of making a cheesesteak. I think you’d really like my Philly cheesesteak cheesecake. Yeah, it’s exactly what it sounds like… except savory. And while I put green pepper on it (you know, for color) you and I know it’s not a thing 🙂 thanks for sharing! No way!! I hear you Nikki – I personally would never eat whiz (gross AF) but I get that for a lot of people that is their normal. Your cheesecake sounds like fun and perfect Football food! I love a good Philly cheesesteak and need to make one SOON! This Philly cheese steak looks incredible!! One of my favorites!! 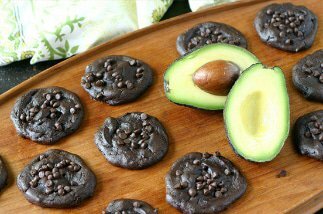 Love this and will be trying your recipe! I’m also a Philly girl living on the West Coast. I sure do miss cheese steaks. No way!! What part of Philly did you grow up in!? I didn’t know you grew up in Philly! I love it there and love this cheesesteak recipe! We haven’t been back for a while – overdue for a visit! Caleb LOVES Philly Cheesesteaks SO MUCH! I most definitely need to make these for lunch sometime this week! Yes!! Let me know how he likes them! These look delicious! I can’t wait to make them for our football party! Can’t wait to make these for the Mr.! Thanks for the recipe! GAH! I’m dying over here, your cheesesteaks look so (swear word) amazing. I know what it’s like to miss a great sandwich. I moved from Chicago to PNW a couple years ago. Sadly, Portlanders haven’t figured out how to make a decent Italian beef. I miss it’s beefy goodness so much. But seriously though, your recipe looks mouth-watering. 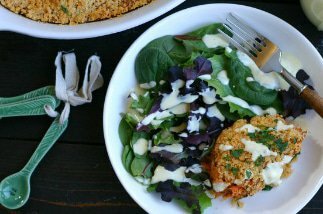 I can’t wait to hit up New Seasons and make this recipe! Hey Christina! Right? The PNW has lots and lots of AMAZING food but they can’t do legit sandwiches to save their lives. I hope you love this! I had no idea about the Green Bells! OMG. Hanging my head in shame after I literally just posted a Philly Cheese Steak Casserole with green peppers in it. Eeeep! These look amazing, I’m totally using this guide to make some authentic ones at home!